Cordillera Administrative Region (Ilocano: Rehion/Deppaar Administratibo ti Cordillera; Filipino: Rehiyong Pampangasiwaan ng Cordillera), designated as CAR, is an administrative region in the Philippines situated within the island of Luzon. The only landlocked region in the country, it is bordered by the Ilocos Region in the west and southwest, and by the Cagayan Valley on the north, east, and southeast. Prior to the 2015 census, it is the least populated and least densely-populated Region in the country. The region, officially created on July 15, 1987, covers most of the Cordillera Central mountains of Luzon, and is home to numerous ethnic people collectively known as the Igorot. On July 15, 1987, President Corazon C. Aquino issued Executive Order 220 which created the Cordillera Administrative Region. 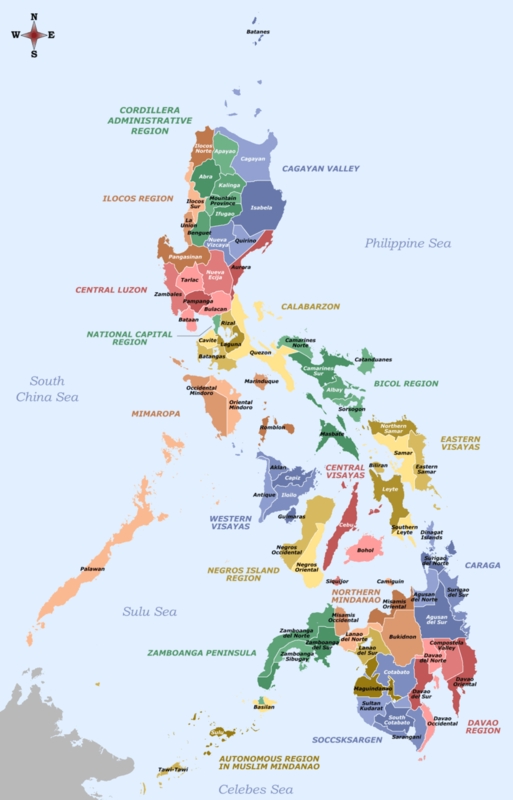 The provinces of Abra, Benguet and Mountain Province (of the Ilocos Region), and Ifugao and Kalinga-Apayao (of the Cagayan Valley) were annexed as part of the newly created region. The Cordillera Peoples Alliance (CPA), an indigenous rights organization in the region, in co-operation with other organizations, had highly resisted this project and thus booked a little victory. However, in May 2001, president Arroyo declared that the San Roque Dam project would continue anyway because it had already started and therefore was difficult to stop. At the same time she promised to not sacrifice the environment, to resettle the people who will lose their houses, to compensate other people, and to initiate no other large-scale irrigation projects in the future. Time will tell whether that promise will be kept. Without consulting the Cordillera people, this code gave companies the freedom to devastate tribal lands, allowed 100% foreign ownership, and gave companies the right to displace and resettle people within their concessionary areas. Some influential people filed a lawsuit with the Supreme Court against the IPRA, because it contradicted with the Mining Code and would therefore be unlawful. The fact that the Supreme Court had to dismiss the petition, because the vote had been 7-7, could be understood as another victory of the CPA. Cordillera Administrative Region is the only landlocked region in the Philippines, bounded on the northeast and east by the Cagayan Valley, and on the southwest and west by the Ilocos Region. 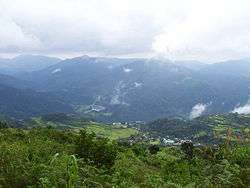 The region is primarily mountainous, situated within the Cordillera Central mountain range. Mount Pulag, the highest mountain in Luzon, is located at the tri-point of Benguet, Ifugao, and Nueva Vizcaya provinces. Within the region are several streams and rivers. The most extensive is the Chico River, a major tributary of the Cagayan River, traversing the provinces of Mountain Province and Kalinga. Other major rivers include Agno, Amburayan, Bued in Benguet, Abulog in Kalinga, Abra River in Abra, Ahin River in Ifugao, Apayao River in Apayao, and Siffu River in both Ifugao and Mountain Province. Cordillera Administrative Region is politically subdivided into 6 provinces. It has 2 cities; the highly urbanized city of Baguio, and the component city of Tabuk. There are 1,176 barangays in the region. Man of the Ifugao tribe in traditional costume. The Cordillera region is the most diversified ethno-linguistic region in the Philippines with its major languages having sub-dialect variations. The topographic formation of the Cordillera mountain range, which has greatly influenced the upstream migration of peoples in the Cordillera into the hinterland, corresponds the various dialects pattern formation. The disparity in linguistic ethnicity however, did not form variation in cultural development as almost every Cordillera people shares similar cultural identity among different tribes. Ilocano is spoken in almost all parts of the region. Economy of the region is diverse; mining, agriculture, export processing zone, tourism are among economic activities in the different provinces of the region. The region is abundant with mineral reserves. These include metallic ores such as gold, copper, silver, zinc, and non-metallic minerals like sand, gravel and sulfur. Mineral reserves are found in all the provinces. However, mining is concentrated in Benguet. Its timber resources has dwindled since the introduction of slash-and-burn method of farming in all parts of the Cordillera mountain range. Vegetable crop production is well developed in Benguet, rice production in Ifugao and Abra, corn production in Mountain Province, and Kalinga. Baguio and La Trinidad are considered as the industrial centers in the region. Baguio City hosts Baguio Export Processing Zone where operations of big companies like Texas Instruments, and MOOG are located. The city also hosts offshore and outsourcing companies operating call centers. The primary growth centers of the region are Metro Baguio and the Eastern Cordillera Growth Corridor. Panagbenga Festival (Baguio Flower Festival) — celebrated in the city of Baguio every February. The festival focuses on the city as the Flower Garden City of the North. Highlights include flower exhibits, lectures, garden tours, floral competition and a parade of floats. Adivay Festival — celebrated in the province of Benguet every November. Adivay means "coming together of people to celebrate". The month-long activities highlights the Agro-industrial and trade fair which showcase the different products of the province. Ullalim Festival — celebrated in the province of Kalinga every February 13–16. The festival celebrates the founding of the province, showcasing the cultural heritage and way of life of the Kalingas. Highlights include exhibits of weaved clothes (laga), coffee beans and other products of the province. Lang-ay Festival — celebrated in Mountain Province every April 7. This is a week-long agro-industrial trade, tourism and cultural fair with tribal dances and songs. Lang-ay is a native term which describes the tradition of the people of Mountain Province to celebrate festivities, share happiness, foster family solidarity, hospitality and nurture friendship — all with a toast of home-brewed wine. Matagoan Festival — celebrated in the city of Tabuk every June 16. The festival features G-String marathon (runners wear G-String only), cultural dances and songs, and showcases the different products of Tabuk coming from the different parts of Kalinga such as the aromatic Kalinga coffee. Kulpi ad Asipulo (Asipulo, April 16-19) — Town Fiesta adopting the ritual term kulpi, a family thanksgiving after transplanting the rice seedlings. Tungoh ad Hungduan (Hungduan, April 17-19) — Town fiesta adopting the cultural festival term tungoh, where the community celebrates the end of rice planting season. Gotad ad Hingyon (Hingyon, April 23-25) — Town fiesta adopting the festival term Gotad which is culminating activity of a bimmayah — a well-to-do. Kulpi ad Lagawe (Lagawe, April 25-27) — Town Fiesta adopting the ritual term kulpi, a family thanksgiving after transplanting the rice seedlings. Urpih Bannawar (Banaue, April 26–27) — Town fiesta also performing the cultural ritual of the urpih by the town mayor. Similar to the kulpi of Lagawe & Asipulo except that Banaue has no "K" in their dialect. Immbayah (Banaue, April 27–29) — A festival celebrated every 3 years. The event title was coined after the term bumayah referring to a well-to-do who celebrates his good health or ripe old age with gong-beating and dancing culminating in the feast. Gotad ad Kiangan (Kiangan, April 30-May 2) — Same as that of Hingyon where the program includes cultural dances, presentation or Contested ethnic songs and games. Among ad Alfonso Lista (Alfonso Lista, May 11) — Town fiesta adopting the Ifugao term ammong which means "a gathering". Keleng di Tinek — town fiesta of the municipality of Tinoc which adopt or practice the ritual of a keleng. Keleng means a bountiful thanksgiving of a couple to the Kabunyan, the highest god. Gongs and dances were practiced by the community and bountiful meals were served. Tourist attractions in the region include the Banaue Rice Terraces in the province of Ifugao. 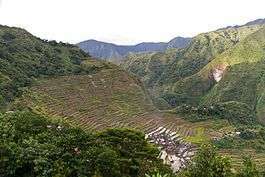 The terraces, ancient sprawling man-made structures from 2,000 to 6,000 years old, are a UNESCO World Heritage Site, and are part of the Rice Terraces of the Philippine Cordilleras. The Philippine Eagle and the Crested-Serpent Eagle was also found in the Last forest frontier of the North the Province of Apayao. Other natural attractions of the region include the Sumaguing Cave in Sagada and the mummy caves of Benguet and Mountain Province. There are four national parks: Cassamata Hill, Mount Data, Balbalasang-Balbalan, located in the province of Kalinga, and Mount Pulag, the highest mountain in Luzon at 2,922 metres (9,587 ft) above sea level. Kalinga also offers white water rafting along the Chico River. The city of Baguio, dubbed the "summer capital of the Philippines", is a major tourist destination in the region. 1 2 "Regional Profile: Cordillera Administrative Region (CAR)". CountrySTAT Philippines. Archived from the original on 22 October 2014. Retrieved 18 September 2014. 1 2 "Mt. Province". VisitMyPhilippines.com The Ultimate Travel Guide for Tourists. Department of Tourism. Retrieved 23 December 2013. ↑ Keesing, Felix Maxwell; Keesing, Marie Margaret; Keesing, Marie Martin; Institute of Pacific Relations (contributor); International Research Committee (contributor) (1934). Taming Philippine Headhunters: A Study of Government and of Cultural Change in Northern Luzon. Stanford University Press. pp. 67–69. ISBN 9780804721103. Retrieved 2 January 2015. ↑ "Benguet History". Province of Benguet (official website). Archived from the original on 19 October 2014. Retrieved 22 October 2014. Benguet was once part of Mountain Province. ↑ "Historical Background". Provincial Government of Apayao. Retrieved 3 January 2015. ↑ Ingles, Raul Rafael (2008). 1908 :The Way it Really was : Historical Journal for the UP Centennial, 1908-2008. Diliman, Quezon City: University of the Philippines Press. pp. 330, 339. ISBN 9715425801. Retrieved 2 January 2015. ↑ Philippines. Census Office; Buencamino, Felipe; Villamor, Ignacio (1920). Census of the Philippine Islands Taken Under the Direction of the Philippine Legislature in the Year 1918, Volume 1. Bureau of printing. p. 68. ↑ "Republic Act No. 4695: An Act Creating the Provinces of Benguet, Mountain Province, Ifugao and Kalinga-Apayao". Chan Robles Virtual Law Library. Retrieved 18 September 2014. ↑ "Facts & Figures: Ifugao Province". Philippine Statistics Authority - National Statistical Coordination Board. Department of the Interior and Local Government - Cordillera Administrative Region. Retrieved 2 January 2015. ↑ "Historical Background". Provincial Government of Apayao. 15 April 2013. Retrieved 3 January 2015. 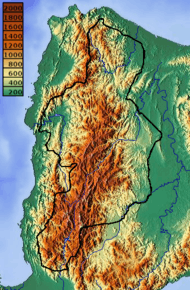 ↑ "The Cordillera Administrative Region (CAR)". Department of Agriculture. Retrieved 18 September 2014. ↑ "R.A. No. 7878: An Act Converting the Sub-Provinces of Kalinga and Apayao into Regular Provinces to be Known as the Province of Kalinga and the Province of Apayao, Amending for the Purpose Republic Act No. 4695". Chan Robles Virtual Law Library. 14 February 1995. Retrieved 4 January 2015. ↑ "Facts & Figures: Apayao Province". Philippine Statistics Authority - National Statistical Coordination Board. 19 April 2012. Retrieved 4 January 2015. 1 2 3 Ferrer, Miriam Coronel (4 September 2010). "Cordillera autonomy - Miriam Coronel Ferrer". ABS-CBN News. Retrieved 4 January 2015. 1 2 3 "Cordillera Autonomy". Scribd Inc. Dona Dee Lacdao. Retrieved 4 January 2015. ↑ "R.A. No. 6766: An Act Providing for an Organic Act for the Cordillera Autonomous Region". The LawPhil Project. 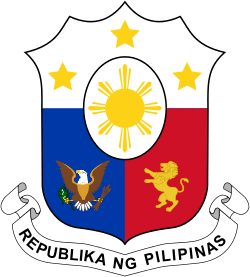 Congress of the Philippines. Retrieved 4 January 2015. ↑ "R.A. No. 8438: An Act to Establish the Cordillera Autonomous Region". The LawPhil Project. 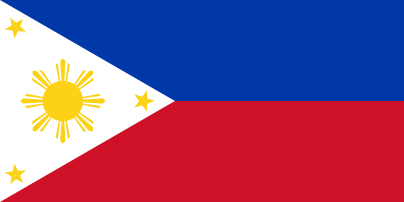 Congress of the Philippines. Retrieved 4 January 2015. ↑ Cordillera People's Alliance, Public Information Commission (1 January 2001). "Dams In the Cordillera" (PDF). International Rivers. Archived from the original (PDF) on 4 January 2015. Retrieved 4 January 2015. ↑ "Cordillera's Water Resources". Cordillera Peoples Alliance. Retrieved 4 January 2015. ↑ Nagpala, Ellaine Grace L. (2007). "Panagbenga: A symbol of tourism, culture, and local cutflower industry" (January–March 2007 issue). Bureau of Agricultural Research Digest. Retrieved 3 January 2015. ↑ Caluza, Desiree (23 November 2011). "'Adivay': From clan gathering to Benguet feast". Inquirer Northern Luzon. Philippine Daily Inquirer. Retrieved 3 January 2015. 1 2 "Festivals and Events in Kalinga". Department of Trade and Industry — Cordillera Administrative Region. Retrieved 3 January 2015. ↑ Balocnit, Peter (6 February 2014). "Kalinga ready for Ullalim festival". Sun.Star Baguio. Retrieved 3 January 2015. ↑ Batnag, Erwin (2 November 2014). "Lang-ay Festival 2015 Launched". Official website of the City Government of Mountain Province. Retrieved 3 January 2015.